We are reputable, knowledgeable, and have a world-wide customer base with thousands of satisfied customers. We hope you will continue your tour of CrystalExchange.com to obtain more information about safely listing, buying, and selling retired Swarovski Crystal, limited edition Swarovski, Swarovski Silver Crystal, and Swarovski figurines! 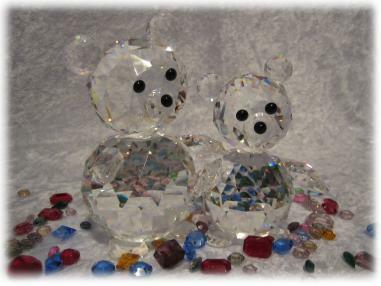 We look forward to assisting Swarovski crystal fanatics in buying or selling Swarovski collectibles, crystal figurines, and collections. Crystal Fanatics ... check out some fantastic deals in our Swarovski auctions on Ebay!